China recovered all territories lost to Japan since the Treaty of Shimonoseki, but lost Outer Mongolia. ↑ This number does not include Japanese killed by Chinese forces in the Burma campaign and does not include Japanese killed in Manchuria. 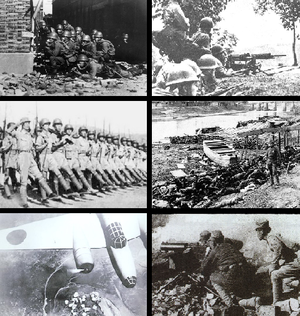 ↑ Including casualties of Japanese puppet forces. The combined toll is most likely around 3,500,000: 2.5 million Japanese, per their own records, and 1,000,000 collaborators. ↑ David Murray Horner (July 24, 2003). The Second World War: The Pacific. Taylor & Francis. पपृ॰ 14–15. आई॰ऍस॰बी॰ऍन॰ 978-0-415-96845-4. अभिगमन तिथि March 6, 2011. ↑ Hsiung (1992). China's Bitter Victory (अंग्रेज़ी में). Routledge. पृ॰ 79. आई॰ऍस॰बी॰ऍन॰ 978-1563242465. ↑ 中国人民解放军历史资料丛书编审委员会 (1994). 八路军·表册 (चीनी में). 解放军出版社. पपृ॰ 第3页. आई॰ऍस॰बी॰ऍन॰ 978-7-5065-2290-8. ↑ Hsiung, James C. (1992). China's Bitter Victory: The War With Japan, 1937–1945. New York: M.E. Sharpe publishing. आई॰ऍस॰बी॰ऍन॰ 1-56324-246-X. ↑ Black, Jeremy (2012). Avoiding Armageddon: From the Great Wall to the Fall of France, 1918–40. पृ॰ 171. आई॰ऍस॰बी॰ऍन॰ 978-1-4411-2387-9. ↑ अ आ Clodfelter, Michael "Warfare and Armed Conflicts: A Statistical Reference", Vol. 2, pp. 956. Includes civilians who died due to famine and other environmental disasters caused by the war. Only includes the 'regular' Chinese army; does NOT include guerrillas and does not include Chinese casualties in Manchuria or Burma. ↑ "Rummel, Table 6A". hawaii.edu. ↑ अ आ R. J. Rummel. China's Bloody Century. Transaction 1991 ISBN 0-88738-417-X. ↑ अ आ Rummel, Table 5A. Retrieved 5 October 2015. ↑ He Yingqin, "Eight Year Sino-Japanese War"
↑ Liu Feng, (2007). "血祭太阳旗: 百万侵华日军亡命实录". Central Compilation and Translation Press. ISBN 978-7-80109-030-0. 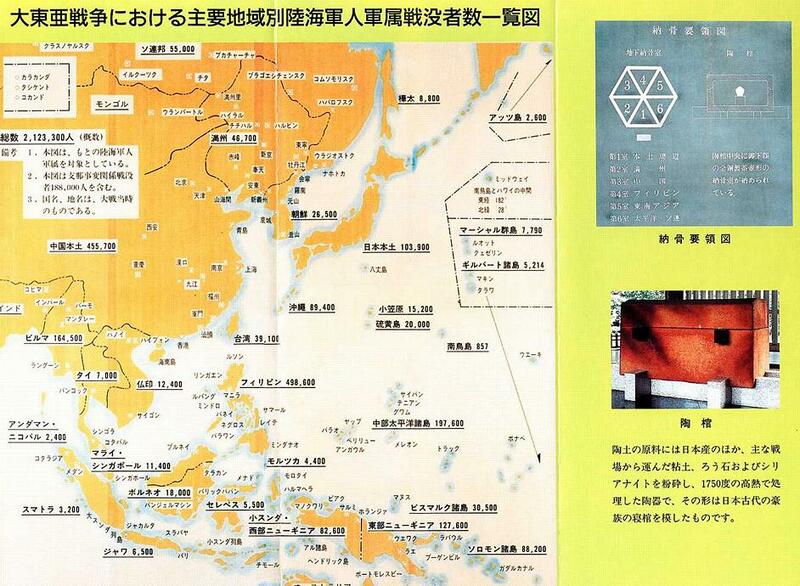 Note: This Chinese publication analyses statistics provided by Japanese publications.